Our family has lost two fathers to Esophageal Cancer, George L. Harkins Jr., M.D and Gene Barnes. We would like to raise awareness and promote research involving EC by staging a 5K and Fun Run, “Dash for Dr. George”, at a local nature preserve in our area. Hopefully, this will become an annual event that will successfully raise funds to fight this dreaded disease. Thank you for your consideration in this matter. George L. Harkins Jr., M.D. was a prominent pediatrician in the west Atlanta suburb of Douglasville, GA. 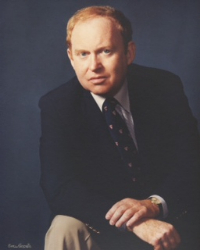 He was the founder of Douglas Pediatrics Associates, which became one of the largest pediatric practices in the Atlanta area. George was renowned for his humorous bedside manner with patients and their families. It was clear to everyone in his office that he had a passion for medicine and a desire to heal and comfort those in need. Earlier in his career, he started another successful practice in Rhinebeck, New York. Many of those patients continue to share stories about “Dr. George” almost 35 years after his departure. His educational background and experience was impeccable. He attended Boston College as an undergraduate, Georgetown University School of Medicine, and completed a fellowship at Harvard University. While at Harvard, he earned a commendation naming him “the best head resident” in the Pediatric Department at Boston Children’s Hospital. George also served his country as a Captain in the U.S. Navy in Parris Island, South Carolina, shortly after finishing his medical training in Boston. Outside of the practice of medicine, George had many interests. He was a devout fan of Boston’s professional sports teams. He followed the New England Patriots, Boston Celtics, and Boston Bruins intently during the fall and winter seasons. But his true favorite was the Boston Red Sox. He rarely missed a Sox game, and he could give an in-depth analysis of every current player. A native of Newton, Massachusetts, George grew up around many Red Sox families and had interactions with some of the players as a young man. He was also a lover of animals, especially his beloved Collies and English Sheepdogs. In his later years, George and his wife, Jo Ann, rescued several Collies from surrounding areas and provided them with a comfortable and loving home. George was also a student of world geography, as he traveled around the globe. He and Jo Ann visited many exotic locations. He made it a point to mix leisurely and historical vacations each year. This allowed George to share interesting stories with his patients. Finally, George was a “clotheshorse”. He enjoyed mixing colors and outfits to constantly update his appearance. Most importantly, George loved his family. His wife of 52 years, Jo Ann, was his first and only love. He was the epitome of a devoted husband, father, and grandfather. He helped to navigate his daughter, Erin, through her scholastic experiences. She is currently practicing dentistry, and he was a guiding force in her development as a medical professional. George was also a strong supporter of his grandsons in their scholastic and athletic careers. He attended several cross country meets for Collin and Brennan, even when he was forced to use a walker. In March 2010, George suffered a stroke and went through extensive rehabilitation and physical therapy. He returned to work, and was able to function at a high level. In January 2013, he was diagnosed with Stage IV Esophageal Cancer, after experiencing bouts of reflux and difficulty swallowing. He was determined to overcome EC by seeking the best treatment options. He traveled to MD Anderson Cancer Center in Houston, Texas, on a semi-monthly basis for his chemotherapy. George maintained a very positive and philosophical attitude during his ordeal. He was his typical humorous and insightful self until the very end. He will always be remembered as a person who succeeded in every phase of his life, both personal and professional. 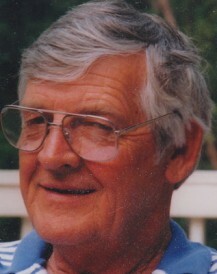 Eugene “Gene” Barnes was an accomplished builder and contractor in Marietta, GA. He was very successful in the construction of homes early in his career, but became a sought-after construction expert in the development of several restaurants and banks in the southeast. Gene was very skilled and enjoyed working with his hands. He also completed several projects involving the renovation of his children’s current residences. Gene grew up in Augusta, Georgia. He was the son of a contractor. He spent several years on active duty in the Air Force. Upon leaving the Air Force, he attended Florida State University. His early professional career began in the printing department of The Augusta Chronicle. Later, he held a similar position with The Marietta Daily Journal. Construction and building were in his blood, so he left the newspaper business and founded Barnes Construction Company. As mentioned earlier, Barnes Construction grew from a residential building corporation into a commercial construction entity. Gene was very devoted to his family. He and his wife Ellen enjoyed travel and other outdoor activities. He spent a great deal of time attending cultural and sporting events for his grandchildren. Gene was an animal lover and an avid gardener. He was very courageous and determined during his battle with Esophageal Cancer. From the time of his diagnosis in February 2010, to his demise in December of that year, Gene was always positive and kind to those around him. He will always be remembered as a jovial and giving soul with an infectious laugh. For more information regarding sponsorship for this event please click below. We have received $ 4,600.00 in Donations to Date. Where can I find the results of this year’s race? I will ask about the winners.